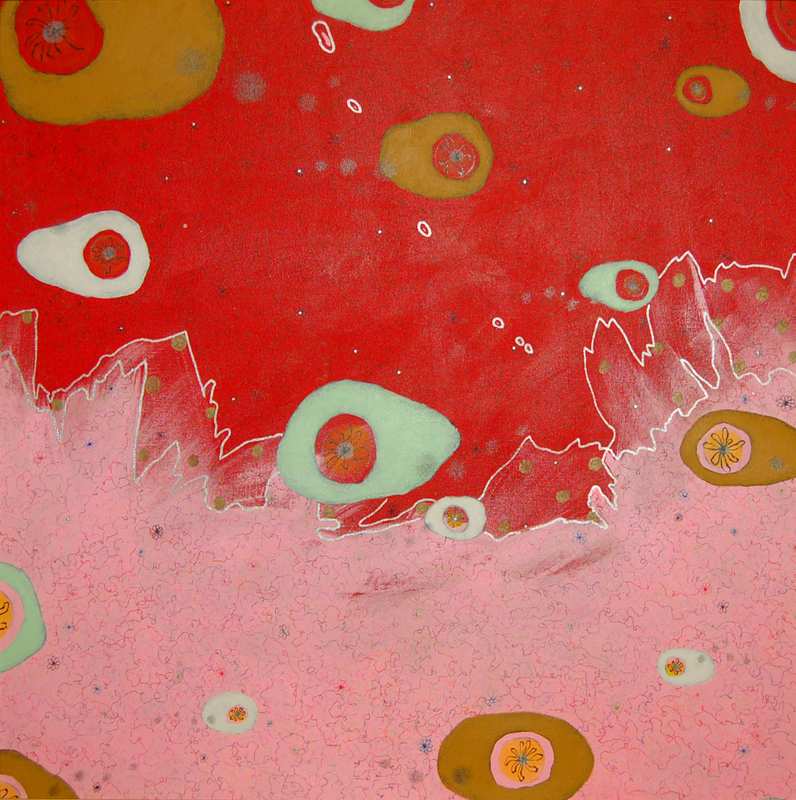 The vibrating fizzing colours of Hong Kong artist Alice Lai’s Kandinskyesque abstract works shimmer with energy and express her love of life: “Our existence must be celebrated” she says. Lai uses negative space and pattern in her acrylic on canvas works to create entrancing fantasy other world landscapes filled with ovoid shapes and craggy lines. 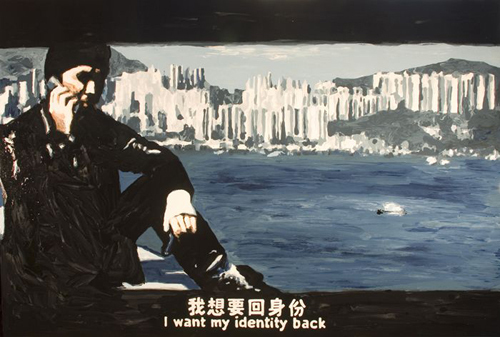 This is the first solo show for this promising graduate of the Chinese University in Hong Kong and Leeds University in Britain. While you are over in the Fotan warehouse arts district, be sure to check out renowned film and documentary maker Ryan Wong’s photographic show ‘The Race’ in Space One’s sister gallery Blue Lotus. Personal assistant to Jet Li, Ryan Wong has worked with a host of stars in his career including Nicole Kidman and John Woo. 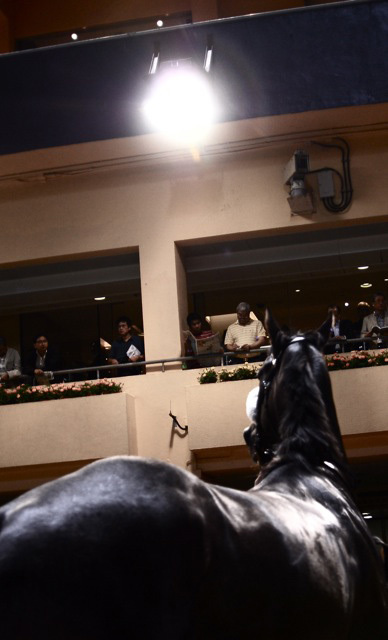 Timed to coincide with the start of Hong Kong’s racing season, his show contains rich dramatic shots in which he conserves split seconds in the shifting action of race meetings. Through these images, like motion picture stills, Ryan Wong teases us with flashes of anticipation, absorption and jubilation showing us the exhilarating escapist drama of a race meeting. ‘Between Sky and Earth-White Dew’ is one part of a twenty-four part exhibition, planned internationally, in which Shao Yinong explores the Chinese Lunar Calendar. Offering a fresh interpretation of Chinese ideology, this almost experiential installation is made of one continuous painting of traditional Chinese cloud symbols in muted colours, sometimes on silk and sometimes direct on the walls, wrapping the gallery and its corridors as if drawing visitors into a mist that seems to settle wherever it falls. “White Dew” is the first solar date on the Chinese Lunar Calendar that signifies the sudden change in temperature at the start of autumn, forming morning dew so dense that it appears white. Shao Yinong, better known as part of duo Shao Yinong and Muchen who have exhibited in the Pompidou Centre, Shanghai Art Museum and the Mori Museum in Japan, uses “White Dew” as a delicate symbol to explore issues of transition, illusion and change in the modern East.